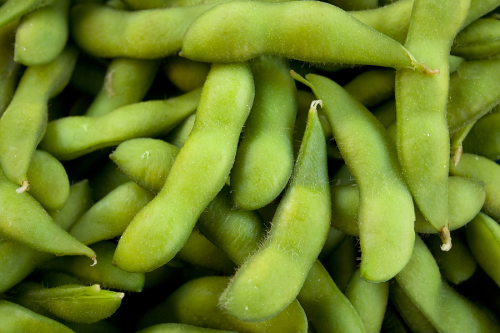 14/10/11 -- Soybeans: Nov 11 Soybeans closed at USD12.70, up 13 cents; Jan 12 Soybeans closed at USD12.78 1/2, up 11 3/4 cents; Oct 11 Soybean Meal closed at USD328.40, up USD3.20; Oct 11 Soybean Oil closed at 53.20, up 100 points. On the week as a whole Nov beans gained more than a dollar after the USDA's WASDE report pegged the US soybean crop lower than the market expected. Funds were said to have bought 10,000 bean contracts on the day along with 2,000 meal and 5,000 oil. Weekly export sales for beans of 672,400 MT were pretty respectable. The September NOPA crush was 110.313 million bushels, well below trade estimates. 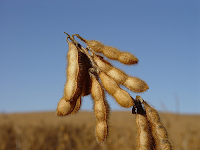 Informa Economics forecast 2012 US soybean plantings at 77 million acres, 1.3 million up on last month, suggesting a record 3.4 billion bushel crop under normal conditions. Corn: Dec 11 Corn closed at USD6.40, up 1 3/4 cents; Mar 12 Corn closed at USD6.51 1/2, also up 1 3/4 cents. On the week as a whole Dec corn was 40 cents higher. Weekly export sales were strong at 1,344,300 MT and that doesn't include the 900,000 MT sold to China this week which will show up in next week's report. Funds were said to have bought 4,000 contracts on the day, although the Commitment of Traders report shows them continuing to exit corn longs on the week through to Tuesday. Informa cut their forecast for 2012 US corn plantings by 1.2 million acres to 93.1 million. Even so US growers will still harvest a record 14 billion bushel crop if average conditions prevail - 12.6% up on the USDA's projected 2011 estimate from earlier in the week. Wheat: Dec 11 CBOT Wheat closed at USD6.22 3/4, up 4 3/4 cents; Dec 11 KCBT Wheat closed at USD7.07 1/2, up 6 1/2 cents; Dec 11 MGEX Wheat closed at USD8.92 1/2, up 9 1/4 cents. On the week as a whole Chicago wheat was up 15 1/4 cents, with Kansas 23 cents firmer and Minneapolis falling 27 cents. Weekly export sales were in line with estimates at 500,600 MT. Wheat was more of a follower than a trend setter on the day, with outside markets providing support along with a weaker US dollar. Informa raised it's US all wheat planting forecast for the 2012 harvest by 400,000 acres to 57 million, a 5% increase on this year's USDA figure of 54.4 million. That implies a crop of 2.3 billion bushels of wheat - 14.5% more than the USDA estimate for this year - given normal levels of normal abandonment and trend-type yields. 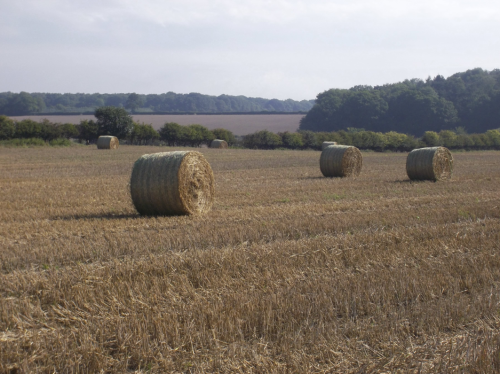 14/10/11 -- EU grains finished mostly a little higher to end the week with Nov London wheat up GBP0.30/tonne to GBP146.50/tonne and Nov Paris wheat climbing EUR1.75/tonne to EUR184.75/tonne. On the week as a whole there wasn't a lot of change with Nov London wheat finishing GBP0.25/tonne lower and Nov Paris wheat rising EUR1.25/tonne. Brussels granted soft wheat export licences for an uninspiring 218,000 MT this week bringing the 2011/12 marketing year total to 4.1 MMT, 42% down on where we were at this point last year. At this pace we are only in line to export 14.2 MMT in the current season, 11% less than the USDA's current forecast of 16 MMT and 29% down on 2010/11's total of 20.1 MMT. The collective weight of availability out of Russia, Kazakhstan and Ukraine already looks set to hang over the European market through into the spring, and possibly even next summer. The grain harvest in Kazakhstan now stands at 26.7 MMT with less than 5% of the crop still to bring in. 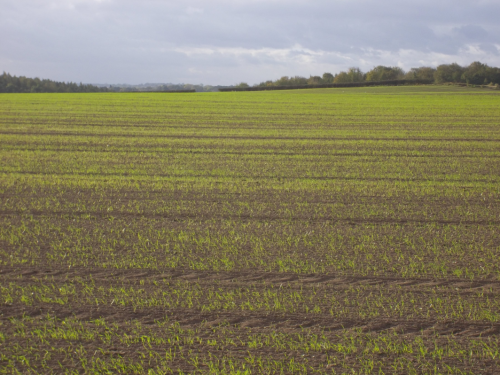 Wheat accounted for 85% of the planted area in 2011, implying a crop of around 23 MMT this year. Even allowing for cleaning and screening that's well above the USDA's recently revised estimate of 19 MMT. Ukraine are still waiting for President Nikolai Azarov to formally sign documentation lifting the duty on wheat and corn exports which was approved by parliament last week. Once passed there will surely be a surge in cheap offers coming out of here too, which are likely to undercut their FSU neighbours. The USDA this week increased their Ukraine corn export forecast for the current season by 2 MMT from last month to 12 MMT, a 140% increase on 2010/11. 13/10/11 -- The overnight grains finished lower with corn down around 6-8 cents, wheat falling 2-4 cents and soybeans 5-7 cents weaker. Crude is around a dollar and a half easier after the International Energy Agency lowered its estimate for world oil demand. The dollar is a bit firmer. Both are negative for grains. Russia's grain harvest is now at 91.8 MMT with 10% of the planted area still left to cut, implying a crop in excess of Putin's 95 MMT estimate. The market continues to digest yesterday's USDA report, along with attempting to reconcile the European debt situation and it's impact on global trade. Data just out shows that China's export growth in September was much lower than market expectations. Meanwhile the IMF have cut their growth forecast for Asia as a whole on the back of the fallout from the European debt crisis, saying that risks for Asia are "decidedly tilted to the downside." 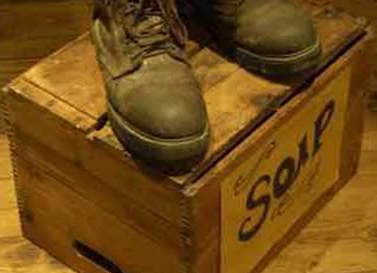 Short-term, the trade is waiting for confirmation from the USDA of this week's supposed large corn and soybean sales to China, and clues to whether any of the reported soyoil business also came the way of the US. Yesterday's USDA report was undeniably bearish for wheat, yet the Dec CBOT contract is still almost 20 cents higher on the week so far even after yesterday's slump, suggesting that further downside is likely. The USDA resisted the temptation to increase US corn yields yesterday, contrary to market expectations. They also surprisingly dropped soybean yields, leaving potential for both to be revised higher in next month's report. Despite lower US production estimates for both, world corn stocks are seen rising and soybean inventories holding steady in 2011/12. Unless a South American weather scare is forthcoming the market will potentially now focus more on demand rather than supply. Against a background of slumping world economic growth, huge European debt, and the fact that it's only 11 weeks until the US ethanol blenders' tax credit expires there could me more downside on grains. And that's before we start to look at America's debt problems and political indecision. 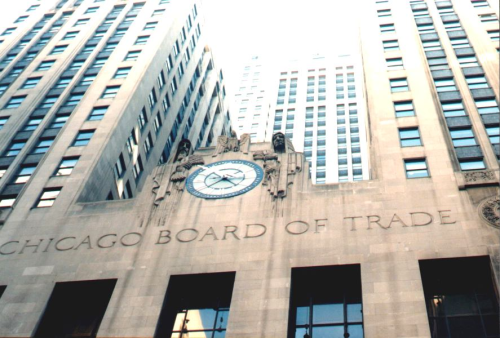 Early calls for this afternoon's CBOT session: corn 6-8 cents lower, beans down 5-7 cents and wheat 3-5 cents weaker. 13/10/11 -- EU grains are mostly a tad lower after yesterday's sharp slump, with Nov London wheat GBP0.45/tonne easier and Jan Paris wheat down EUR0.50/tonne. As we currently stand, approaching midday, both are however still showing small gains on the week as a whole. The global wheat picture is changing with production and stocks estimates climbing, and it's the major exporting nations that are seeing most of those gains, not traditional non-exporters like China and India. Non-exporter or not, the latter is currently loading 100,000 MT of it's record 2011 wheat crop for shipment to neighbouring Bangladesh before another anticipated record crop comes in in early 2012. Kazakhstan's grain harvest now stands at 26.2 MMT in bunker weight with a little over 5% of the crop left to be harvested. Allowing for cleaning and screening, and working on the basis that wheat normally accounts for around 80% of grain production there, we are probably looking at s final wheat number of around 20 MMT - 1 MMT more than the USDA assessment. 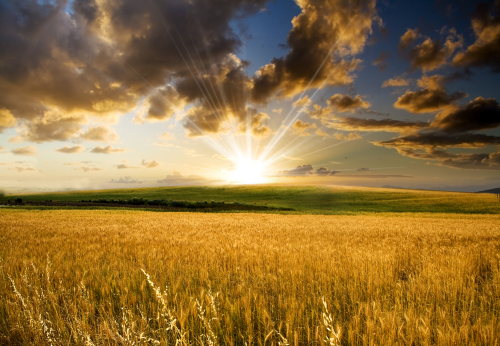 "Kazakhstan production is raised 3.0 MMT based on harvest results that confirm the impact of abundant moisture and near-perfect summer weather on this year's crop," the USDA said yesterday. 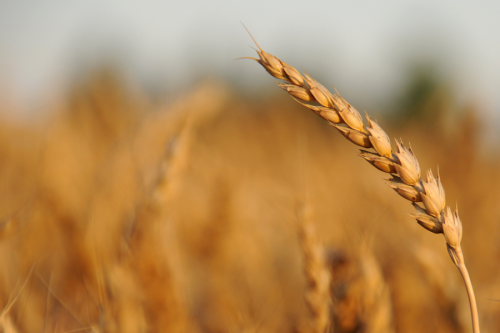 In Russia, domestic wheat prices have fallen for the third week in a row, say SovEcon. 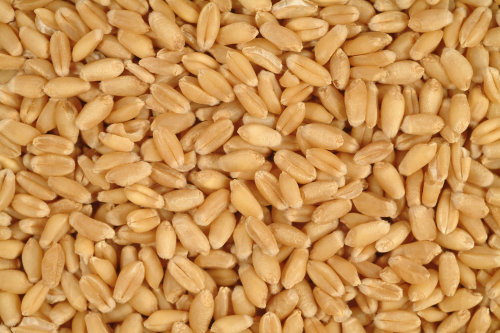 Their wheat export potential was increased 2 MMT to 18 MMT by the USDA yesterday. Based on yesterday's USDA data, Goldman Sachs now says that it expects wheat to "under perform" for the remainder of 2011/12 and that it sees "downside risks" to it's existing three month and six month price targets for the grain. 13/10/11 -- The HGCA yesterday released their first ideas on the UK supply and demand balance sheet for 2011/12 here. Barley demand from the feed sector is seen falling 14% whilst wheat demand there is seen increasing 7%. In it they also peg Human and Industrial wheat usage 3% lower - that assumes that "the existing bioethanol plant will re‐start production by 2012 and includes additional distilling capacity due online in January." I wouldn't want to stake too much money on that particular double paying out. 13/10/11 -- Right, now that we have the USDA report out of the way all the mist should have been lifted and we'll have a clear indication of where the market is going, yes? For wheat yesterday's numbers were bearish, there's a hell of a lot more of it about than we thought a few months ago. In fact compared to June's USDA WASDE report there's almost 17 MMT more of it about in terms of production and 2011/12 ending stocks are now seen 18 MMT higher. At 202.4 MMT the latter is now higher than the so called "burdensome" stock levels of 2009/10 and the highest in ten years. It's only a slightly different picture for corn - despite world production now seen 6 MMT lower than in June, global ending stocks are actually now forecast 11.3 MMT higher. Where it matters most to us, EU-27 wheat production is now seen at 136.33 MMT - almost 5 MMT higher than in June - whilst corn output is up by almost 2 MMT to 61 MMT. All in all then we have 29.3 MMT more wheat & corn sloshing around in the system looking for a home, one swift call to "insatiable" China will sort that out surely? Well this morning I read of the IMF cutting it's growth forecast for Asia on the back of the fallout from the European debt crisis. In fact risks for Asia are "decidedly tilted to the downside" they say. Media reports suggest that Slovakia will bite the bullet and become the seventeenth member out of seventeen to approval the changes to the EU bailout fund, so that's good news surely? Well the markets seem to be pushing to the back of their minds thoughts of where all this money is going to come from. As I mentioned the other day the talk around the bar on Sunday at my little weekend away was all about four day weeks, pay freezes and unemployment. Yesterday a mate who works in the Civil Service emailed to say that he'd just been interviewed to keep the job he already does and that 30% of him and/or his co-workers were for the chop in the next few months. They all get to know their fate at the beginning of December. Happy Christmas. And of course this is being replicated all over Europe. Yesterday too we had the news of UK unemployment at a 17 year high, well that's going to get a further boost in the first week of December when Mike and/or 30% of his mates get the old heave ho isn't it? Multiply that up by all the others in not just the public but also the private sector, add on the number you first thought of and subtract zero and it all looks pretty bleak doesn't it? 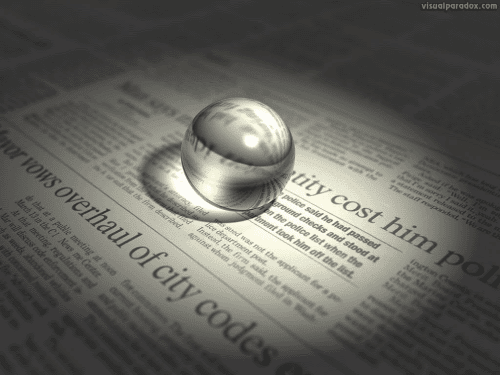 Recession II in HD 3D on bluray, coming soon. 12/10/11 -- Soybeans: Nov 11 Soybeans closed at USD12.39 1/2, up 4 cents; Jan 12 Soybeans closed at USD12.49 1/2, up 3 1/4 cents; Oct 11 Soybean Meal closed at USD320.10, up USD3.20; Oct 11 Soybean Oil closed at 51.60, down 35 points. Funds bought an estimated 5,000 bean contracts after the USDA report came in on the bullish side cutting projected US yields ending stocks. US production this year was reduced to 3.060 billion bushels, 21 million below what was expected. US ending stocks for 2011/12 were cut by 5 million from last month to 160 million when the market was expecting a rise to 183 million. World ending stocks were however raised slightly from last month to 63.0 MMT - in line with trade forecasts. Corn: Dec 11 Corn closed at USD6.40 3/4, down 4 1/4 cents; Mar 12 Corn closed at USD6.52 3/4, down 4 3/4 cents. The USDA report was more of a mixed bag for corn, leaving US yields unchanged when an increase was expected and cutting production to 12.433 billion bushels versus the 12.471 billion expected. US 2011/12 ending stocks were however raised from 672 million to 866 million bushels, higher than the 806 million expected due to a 50 million decrease in exports. Ethanol usage remained unchanged at 5 billion bushels. World ending stocks for 2011/12 were increased from 117.4 MMT to 123.2 MMT (vs 119.97 MMT expected). China's corn crop was upped 4 MMT to 182 MMT. Funds sold an estimated 5,000 contracts on the day. Wheat: Dec 11 CBOT Wheat closed at USD6.26 3/4, down 34 cents; Dec 11 KCBT Wheat closed at USD7.11, down 18 3/4 cents; Dec 11 MGEX Wheat closed at USD9.03 3/4, down 32 3/4 cents. Whilst the fireworks were expected to come from either corn or beans it was wheat that actually supplied them with a very bearish set of data. US 2011/12 ending stocks came in at 837 million bushels, up from 761 million last month and the 733 million expected. World production for 2011/12 was raised from 678.1 MMT to 681.2 MMT and the real shocker was global ending stocks increasing from 194.6 MMT to 202.4 MMT - a ten year high. Production increases came from Kazakhstan +3 MMT, with rises also from Australia, the EU-27 and Canada. Russia's export potential was raised 2 MMT as too was Australia's. 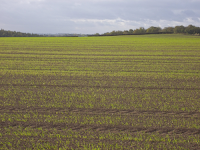 12/10/11 -- EU closed with Nov London wheat down GBP3.55/tonne to GBP147.45/tonne and Nov Paris wheat falling EUR6.00/tonne to EUR185.75/tonne. Grains effectively gave up virtually all of yesterday's gains on the back of a surprisingly bearish (for wheat) USDA report. They pegged world wheat production 3 MMT higher this month than last, including a 3 MMT hike for output in Kazakhstan (although at 19 MMT that's probably still too low) and an extra 1 MMT coming onto the market from Australia. In addition, global consumption was pegged 2.4 MMT lower than last month pushing projected world ending stocks next summer to a ten year high of 202.4 MMT, fully 7.8 MMT higher than last month and what the trade was expecting. World export estimates were increased for Russia and Australia by 2 MMT each and for Kazakhstan and Canada by 1 MMT each, cutting the US share of the global export market by 2 MMT to 26 MMT - 10 MMT or 28% below 2010/11. World corn production this season was increased by more than 5 MMT, with 3 MMT of that coming from Ukraine despite a lower estimate for US output. World ending stocks were seen at 123 MMT, up almost 6 MMT on last month and 3 MMT more than anticipated, with Chinese production getting a surprise 4 MMT boost to 182 MMT. On a domestic front news that UK unemployment hit a 17 year high and that there are more 16-24 year olds out of work than ever before hardly inspires confidence in an economic recovery any time soon. 12/10/11 -- What the overnight grains did is out of the window now that we have the USDA numbers to go on, but for the record corn was 7-9 cents firmer, wheat 2-6 cents lower and beans 2-4 cents weaker. The USDA numbers were mixed with wheat bearish, corn neutral to bearish and soybeans bullish. US corn yields were left unchanged and production dropped a little, contrary to expectations for small increases. US ending stocks were however raised for both 2010/11 and 2011/12. World carryout for 2011/12 was also increased largely by virtue of an unexpected 4 MMT hike in production in China. US and world wheat ending stocks were also raised, and in the case of the latter by much more than anticipated to their highest since 2001/02. For soybeans US yields were cut rather than left unchanged and ending stocks for 2011/12 were much lower than expected, although world ending stocks increased slightly which was in line with trade ideas. The wheat numbers are the ones that slap you in the face. Early calls are wheat down 10-15 cents, corn mixed and beans 5-10 cents higher. 12/10/11 -- The long awaited USDA numbers are out and they're a bit of a mixed bag. For US corn the yield estimate was left unchanged from last month at 148.1 bu/acre, contrary to the expected small rise to 148.7 bu/ace. Production came in at 12.433 billion bushels versus the 12.471 billion expected. As often seems to be the case with the USDA though they take away with one hand and give with another, 2010/11 ending stocks were raised from 920 million last month to 1.128 billion this time round and 2011/12 carryout increased from 672 million to 866 million bushels, higher than the 806 million expected. World corn ending stocks were also increased for both marketing years with 2010/11 up from 124.3 MMT to 129.8 MMT and 2011/12 rising from 117.4 MMT to 123.2 MMT (vs 119.97 MMT expected). China's corn crop was upped 4 MMT to 182 MMT, which will surprise a few including the US Grains Council and imports were left unchanged at 2 MMT. Soybeans: The report was more uniform for beans with US yields lowered to 41.5 bu/acre when the trade was expecting them to be left unchanged at 41.8 bu/acre. Final US production was forecast at 3.06 billion bushels versus the 3.08 billion expected. US ending stocks for both crop years were reduced, by 10 million for 2010/11 to 215 million bushels and by 5 million to 160 million for 2011/12 (the market was expecting a figure of 183 million). World soybean ending stocks for both season were however raised with 2010/11 coming in at 69.3 MMT (from 68.8 MMT in September) and at 63.0 MMT in 2011/12 (from 62.6 MMT). Wheat: US all wheat production was pegged at just over 2 billion bushels with 2011/12 stocks at 837 million bushels, up from 761 million last month and the 733 million expected. World production for 2011/12 was raised from 678.1 MMT to 681.2 MMT and global ending stocks increased from 194.6 MMT to 202.4 MMT (and much higher than the unchanged 194.6 MMT expected). There are mixed reactions online to all this but I'd call it bearish wheat, neutral to mildly bearish corn and modestly bullish on beans - so pick the bones out of that! The last number is the stand out one for me. At 202.4 MMT we now have 10-year high world wheat stocks - pegged even higher than they were in 2009/10 when they were regularly referred to as "burdensome" by all and sundry. 12/10/11 -- Kazakhstan have reached their 25 MMT grain harvest target with 6% of the crop still left to harvest I see. Having cut 15.1 million hectares, or 93.7% of the planted area, this season's harvest now stands at 25.7 MMT - 89% up on last year. That's a record for the post Soviet era I believe and will leave them well placed to attempt to reach their targeted 10 MMT of exports in 2011/12. Throw in Ukraine's stated 24 MMT export ambitions for the current season and there's no collective shortage of grains waiting to come out of the FSU - Russian export duties or not. 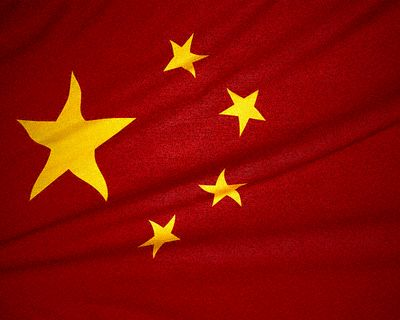 12/10/11 -- China took advantage of the recent break in prices to buy 1.5 MMT of corn and 700,000 MT of soybeans on the international stage, according to media reports this morning. State-run grain buyer Sinograin also bought 100,000 MT of soyoil, according to the same reports. It's unconfirmed if any of this came was of US origin, although it's likely that at least some of the beans and corn were. Argentina is probably the likely favourite supplier of the oil. Some reports on Twitter suggest that "at least 900,000 MT" of the corn was of US origin. Everybody always seems to get excited when China are in the market, particularly for corn, although before we get too carried away 1.5 MMT is only 1.6% of world trade in corn and less than 0.2% of world production - an amount similar to that imported by Peru. 12/10/11 -- Well, it's over to you the USDA. Second guessing what they will come up with has proven to be nigh on impossible of late, so I'm not even going to make an attempt. Instead let's have a look at this Russian export duty thing that emerged from out of the woodwork yesterday. The nitty gritty seems to be this...they wish to cap grain exports at around 24 MMT for the marketing year. The plan seems to be to introduce export duties once that target is met. As they've already shipped 10.7 MMT that leaves 13.3 MMT left to go before that happens. At current rates that means we will hit that target around the end of February. However that conveniently ignores the fact that Russian shipments normally slow up anyway once the worst of the winter hits. Deputy PM Zubkov wouldn't be drawn on saying what form any duties would take to restrict exports. If they are meant to effectively cap exports then we can only assume that they would be fairly punitive. So based on the information we have at the moment it may be fair to assume that Russia could be effectively hanging up the "sold out" sign for the last quarter (Apr/Jun) of 2011/12. However that assumes that neighbouring Ukraine and Kazakhstan don't steal much in the way of export business from Russia. In the case of the former in particular that seems highly unlikely. Ukraine have largely sat out of the export market up until now whilst they've been awaiting the removal of export taxes of their own. Now that they have, I think we can expect a much more aggressive showing from them as they try to cram their ambitious export target into what's left of 2011/12. This announcement will also not have gone unnoticed by Egypt, who may well decide to re-evaluate it's recent stance of putting almost all of it's eggs back into the Russian basket. Egyptian officials are said to have recently been in Ukraine in an attempt to iron out a three year dispute over grain quality, and Ukraine did undercut even Russia in a recent tender. The next few Egyptian tenders will certainly be interesting. Kazakhstan meanwhile have recently announced their intention to export 1.0-1.2 MMT per month of their potentially post-Soviet era record grain crop for what's left of 2011/12 too. All in all I don't see that the Russian news is much of a game-changer, we just might start to see a few more different names on the score sheet in the second half of the season. 11/10/11 -- Soybeans: Nov 11 Soybeans closed at USD12.35 1/2, up 58 cents; Jan 12 Soybeans closed at USD12.46 1/4, up 57 1/2 cents; Oct 11 Soybean Meal closed at USD316.90, up USD12.20; Oct 11 Soybean Oil closed at 51.95, up 209 points. Heavy fund buying ahead of tomorrow's USDA report was a major feature with them adding an estimated 25,000 contracts in what was said to be a record volume day for beans. European debt optimism and a weaker dollar helped the cause. Estimates for tomorrow peg the US soybean crop at 3.102 billion bushels with 2011/12 ending stocks increasing to around 185 million bushels. After the close the USDA said that soybean harvesting was 51% complete. Corn: Dec 11 Corn closed at USD6.45, up the daily 40 cent limit; Mar 12 Corn closed at USD6.57 1/2, also up 40 cents. Funds were said to have bought 30,000 contracts in the run-up to tomorrow's USDA report. Private exporters announced the sale of 261,200 MT of corn to Mexico and harvest progress was pegged at 33% complete after the close, up from 21% a week ago. Trade estimates for tomorrow put the US corn crop at 12.479 billion bushels with yields at 148.73 bpa. US ending stocks for 2011/12 are estimated around 805 million bushels, with world ending stocks at 120 MMT. Wheat: Dec 11 CBOT Wheat closed at USD6.60 3/4, up 49 1/4 cents; Dec 11 KCBT Wheat closed at USD7.29 3/4, up 43 3/4 cents; Dec 11 MGEX Wheat closed at USD9.36 1/2, up 2 1/4 cents. The large open short position in Chicago was always going to leave the market vulnerable to a rally like this ahead of a major USDA report I guess. Not that tomorrow is likely to throw up any major surprises for wheat, but it might do for corn. 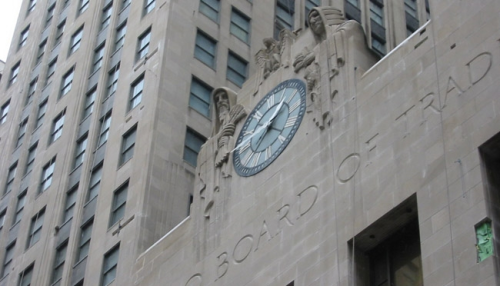 Funds were said to have bought 7-8,000 CBOT contracts on the day. Reports of the possible imposition of export duties on Russian grain exports added to the bullish tone. Tomorrow's USDA report is expected to show US ending stocks of 733 million bushels and world stocks at 194.6 MMT. 11/10/11 -- EU grains finished sharply higher with Nov London wheat up GBP3.65/tonne to GBP151.00/tonne and Nov Paris wheat climbing EUR7.75/tonne to EUR191.75/tonne. Grains were lower to narrowly mixed for much of the day but jumped into the close on news out of the blue that Russia was considering introducing export duties on grains. Short-covering ahead of tomorrow's USDA reports also seemed to be a factor. The word out of Russia late in the day was that they may decide to introduce some sort of export levy system due to the frenetic pace of foreign sales so far during the 2011/12 marketing year. They've certainly been an aggressive adversary as far as EU and US wheat is concerned, although it should be noted that Ukraine may be only too willing to step into the void, if one should appear, having just got it's own export duties scrapped in order to compete with it's neighbour. Kazakhstan too would be eager to seize any advantage offered to it by virtue of limits on Russian sales. Other news suggests that a deal has been done between the EU/IMF and ECB to allow Greece to get it's next tranche of bailout funds in early November and thus avoid an imminent default. The market is still awaiting news from Slovakia as to whether they will pass or veto proposals to approve the guarantee of EUR7.7 billion toward the EFSF bailout fund. Elsewhere French grains institute Arvalis say that record corn yields this year are "guaranteed" at a minimum of 10 MT/ha with around 40% of the crop in the bin. 11/10/11 -- Back from a weekend away on the lash I wouldn't so much say I'm refreshed as destroyed. Driving around North Yorks at the weekend I have to say that young wheat and OSR crops are by and large looking really rather good, thanks no doubt to the recent rains. The general mood amongst my mixed bunch of compatriots wasn't good and these are guys across a broad section of industry from construction to computers. Job losses, lack of funding, cut backs, short time at work, there wasn't a lot of optimism out there. Surprising then that the vibe in the financial markets yesterday seemed to be one of cautious optimism (when IS this market going to learn), but the jitters seem to be back this morning ahead of a Slovakian vote later this afternoon on whether they'd like to join the rest of the eurozone by having a whip-round for EUR7.7 billion to chuck into the EU bailout fund. Elsewhere I see that the Australian wheat crop is getting bigger according to the Commonwealth Bank of Australia, although I've also been hearing of reports of frost damage. Spoke to my brother in Melbourne this morning and he says it's "pretty nippy" over there comparing it to March back home in Blightly. Ukraine's grain harvest is 86% done at 43.67 MMT, with corn harvesting not yet at the halfway point. They're still harvesting in Kazakhstan too, with almost 10% of the planted area left to be cut they've brought in a grain crop of 24.1 MMT. A woman in the US ran the Chicago marathon at the weekend, went home for a sandwich and then straight to hospital to have a baby, report the BBC. No doubt leaving her distraught husband to do the dishes and put her running kit on a "smelly synthetics" wash - the lazy cow. 10/10/11 -- Soybeans: Nov 11 Soybeans closed at USD11.77 1/2, up 19 1/4 cents; Jan 12 Soybeans closed at USD11.88 3/4, up 18 3/4 cents; Oct 11 Soybean Meal closed at USD304.70, up USD4.60; Oct 11 Soybean Oil closed at 49.86, up 79 points. 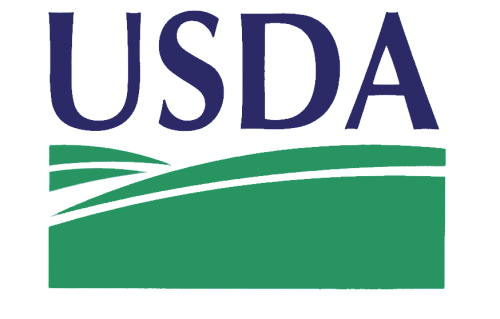 The USDA's usual Monday crop progress report is delayed a day due to Columbus Day. Soybean harvesting is expected to be around 50% complete. There wasn't a lot of fresh news to go on. Hopes that EU leaders are close to sorting out a credible rescue package for Greece and recapitalising ailing EU banks in general lent support with funds coming in to buy an estimated 8,000 soybean contracts on the day. Traders are expecting 3.102 billion bushels for US soybean production from the USDA on Wednesday with a small increase in ending stocks for 2011/12 to around 185 million. Corn: Dec 11 Corn closed at USD6.05, up 5 cents; Mar 12 Corn closed at USD6.17 1/2, up 4 3/4 cents. Corn closed in positive territory but off session highs. Optimism for something positive to come out of a weekend meeting between France and Germany to finally resolve the ongoing European debt crisis was maybe tempered by a degree of scepticism that we've seen all this hot air come to nothing concrete on more than one occasion before. Still, funds were said to have bought 5-7,000 contracts on the day. In Wednesday's USDA report the trade is looking for a US corn production number of 12.479 billion bushels, with an average yield estimate of 148.7 bu/acre. Wheat: Dec 11 CBOT Wheat closed at USD6.11 1/2, up 4 cents; Dec 11 KCBT Wheat closed at USD6.86, up 1 1/2 cents; Dec 11 MGEX Wheat closed at USD9.34 1/4, up 14 3/4 cents. Wheat also slid from early highs with funds given credit for buying around 2,000 CBOT contracts on the day. Minneapolis continues to lead the way establishing a more than USD3/bu premium over Chicago. Beneficial rains arrived for much of the HRW areas in the southern Plains over the weekend. Wednesday's USDA report is expected to show US ending stocks for 2011/12 at 733 million bushels. World ending stocks are seen at 194.64 MMT, almost identical to last month. 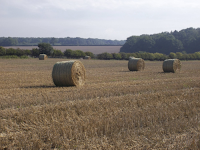 10/10/11 -- EU grains finished mostly firmer but off session highs with Nov London wheat up GBP0.60/tonne to GBP147.35/tonne and Nov Paris wheat climbing EUR0.50/tonne at EUR184.00/tonne. The pound rose to 1.5675 against a weak US dollar but fell to 1.1475 versus the euro, the latter buoyed by positive comments following a weekend meeting by Germany and France. An EU summit to discuss the European debt crisis has been delayed by a week to give EU leaders more time to finalise plans to recapitalise it's banks and Greece, says the president of the European Council. Weekend rains for US winter wheat areas on the southern Plains were less than anticipated, according to Martell Crop Projections. "Central Texas got was the big winner with 3-5 inches of rainfall. Oklahoma wheat areas received 1.0 - 2.5 inches of rain, but less in the northern growing areas. Kansas rainfall was extremely variable ranging from .25 inch to 6 inches with 65% coverage. Rainfall was expected to be 3-5 inches across the board in the Southern Great Plains. Dry weather is expected to resume the next 10 days, along with above-normal temperatures on the High Plains," they say. Elsewhere "Argentina was hit with drenching rainfall in the farm belt that restored field moisture for corn planting. Eastern Cordoba, southern Santa Fe and northwest Buenos Aires received at least 3-5 inches in the heart of the Argentina corn belt. Flooding occurred further north with 6-8 inches of rain. Dry fields have been replenished, which will lead to rapid advancement of corn planting," they add.